Professor Scholem wrote a series of amazing essays on many aspects of Kabbalah – esoteric Jewish mysticism – for the Encyclopedia Judaica, which were widely acclaimed. They were collected together in this volume, which is widely considered essential reading for any serious student of Kabbalah. * What is Mysticism? The paradoxical nature of mystical experience. Mysticism as an historical phenomenon. Mythology, Religion and Mysticism. Mystical interpretation of religious values. Jewish Mysticism influenced by the positive contents of Judaism. The Kabbalistic theory of the hidden God and His attributes. The Sefiroth. The Torah. Kabbalism and language. Mysticism and the historical world. Cosmogony and eschatology. Jewish Philosophy and Kabbalism. Allegorization and symbolism. Philosophical and mystical interpretation of Halakhah and Aggadah. Kabbalism and prayer. Mythical elements in Kabbalistic thought. * Merkabah mystics, and Jewish Gnosticism. The Hekhaloth-books….he ecstatic ascent of the soul and its technique. Magical elements. Dangers of the ascent. God as Holy King. The hymns of the Merkabah mystics… Moral re-interpretation of the Merkabah. * The Hasidim of mediaeval Germany. Jehudah the Hasid and his disciples. Eschatological character of Hasidism. The new ideal of the Hasid: Ascetics, ataraxy and altruism. Love of God. A Judaized version of monkish Cynicism. The magic power of the Hasid. The Golem legend. Mysteries of Prayer. Occultist practices. Hasidic conception of penitence. The conception of God in Hasidism. Immanence of God. * Abraham Abulafia and prophetic Kabbalism. Kabbalistic reticence and censorship. Devekuth–the Jewish form of mystical union. …Mystical transfiguration as the essence of ecstasy….Practical Kabbalism and magic. * The Zohar, the book and its author. Literary character and composition of the Zohar. The whole of the Zoharic “literature” consists of two major parts: the bulk of the Zohar and the Raya Mehemna. … Pseudo-realism. Principles of literary composition. Sources of the Zohar: the real and fictitious ones. * The Zohar II: It’s theosophic doctrine…. The hidden God or En-Sof. The Sefiroth, the Realm of Divinity. Mystical conception of the Torah. Symbolical realization of the Sefiroth. Some instances of Kabbalistic Symbolism. God as a mystical organism. Nothing and Being. The first three stages of the Sefirotic development. …. The problem of sexual symbolism. The new idea of the Shekhinah as a feminine element in God and as the mystical Community of Israel. Man and his Fall. Kabbalistic ethics. The nature of evil. * Isaac Luria and his school. The Exodus from Spain and its religious consequences. Kabbalism on its way to Messianism. Apocalyptic propaganda by Kabbalists. … Moses Cordovero and Isaac Luria. Their personalities. Spread of Lurianic Kabbalism. …Tsimtsum, Shevirah and Tikkun. The twofold process of Creation. The withdrawal of God into Himself as the starting-point of Creation…the primordial catastrophe, or Breaking of the Vessels. The origin of Evil. Two aspects of the theory of the Tikkun, or restoration of harmony. * Sabbatianism and mystical heresey. The Sabbatian movement of 1665–1666. Sabbatai Zevi, the Kabbalistic Messiah, and Nathan of Gaza, his prophet. Sabbatai Zevi’s illness and its mystical interpretation by Nathan. …Importance of Sabbatianism for Jewish history… Sabbatianism and Christianity. Influence of Marranic psychology on Sabbatianism. Doctrine of the necessary apostasy of the Messiah. * Hasidism: The latest phase. Polish and Ukrainian Hasidism of the eighteenth century and its problem. The transformation of Kabbalism into a popular movement. The alternatives of Kabbalistic development after the collapse of Sabbatianism…. Rabbi Adam Baal Shem—a crypto-Sabbatian prophet. …What is novel in Hasidism? The essential originality of Hasidism not connected with mystical theosophy but with mystical ethics. Zaddikism implied by the intrinsic nature of Hasidism. 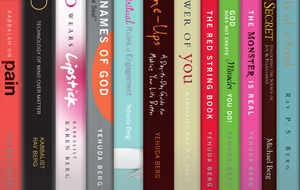 Alas, the entire Jewish spectrum, from Reform to Orthodox, denies any connection between the authors of these books and Kabbalah, either religiously, or even purely secularly/academic. In fact, while the author claims to be a rabbi, the Yeshiva he claims his ordination from denies that they gave him rabbinical ordination. 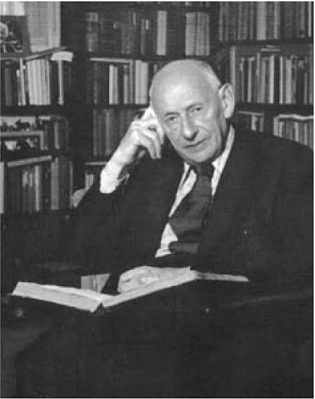 The translations of Kabbalistic texts are simplified to the point where they are unreliable; the Hebrew texts that he did work from are censored and non-critical editions. * “The Wisdom of The Zohar: An Anthology of Texts”, Ed. Isaiah Tishby, and translated from the Hebrew by David Goldstein. The Zohar [in English], 22 volume set, Library Binding. Philip S. Berg and the Kabbalah Centre. As I am not literate in Aramaic, I can only rely on experts who are; there are a wide variety of academic and popular translations of the Zohar, a primary work of Kabbalah (esoteric Jewish mysticism.) All of the many translations and commentaries carry their own reviews, and their relative merits are debated among the academy. What is remarkable, however, is the unanimity amongs rabbis and scholars that the translations of Phillip S. Berg, from the Kabbalah Centre, are terrible. It is rare to find this kind of agreement between Reform rabbis and Orthodox rabbis, between religious Jews and secular academics – but the consensus is clear. Not only are the translations generally considered inadequate, but the commentary is considered badly flawed from an academic/historical point of view. Instead of this set I would suggest reading “Zohar: Annotated & Explained” by Daniel Chanan Matt and Andrew Harvey, or “The Wisdom of The Zohar: An Anthology of Texts”, Ed. Isaiah Tishby, and translated from the Hebrew by David Goldstein.